At 34 years of age, Arjen Robben shows no sign of slowing up. The flying Dutchman retired from international football this season, following on from Holland’s failure to qualify for the 2018 World Cup. The news went under the radar, with the Netherlands’ abject performances shadowing the end of one of the country’s best ever players. But is his talent truly appreciated? This is a player who has won a league title in every country he’s played in, not to mention countless other domestic trophies. He’s scored the winning goal in a Champions League final, against his side’s biggest rivals. At a domestic level, there’s nothing left to prove. At the international level, he’s also shown his ability on the world stage. 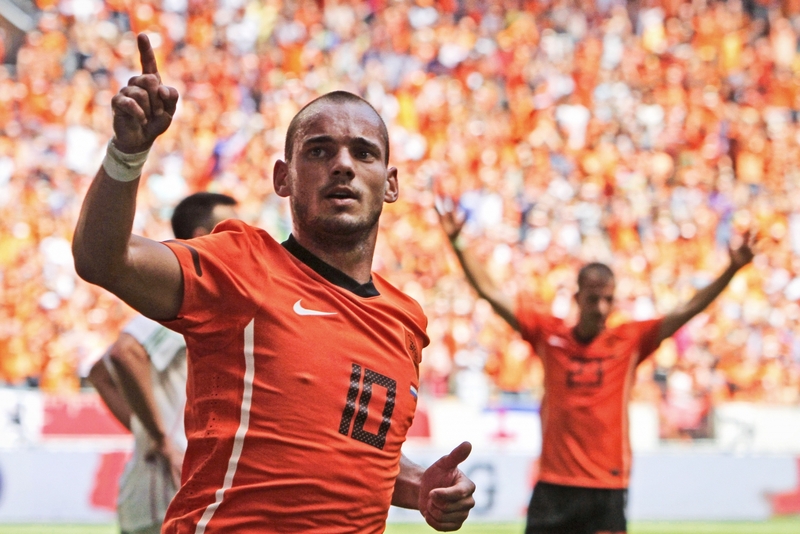 With Holland’s recent misery, it’s easy to forget their recent good runs at the last two world cups. They were runners-up in 2010 and third in 2014, with Robben being an integral part of both. There’s a simple brilliance to how Robben plays: run fast, cut in and repeat. At a young age, many concentrate on improving their weaker foot, with the obvious benefit it brings. Robben is an exception to this rule, a player who’s spent his entire career relying solely on his left foot. But what a left foot it is. There’s entire video compilations on YouTube dedicated to his trade, appropriately titled ‘5 minutes of Robben cutting in and scoring’. Largely utilised on the right-hand side, you know exactly what he wants to do; stopping it from happening is a whole other story. Yet there’s a feeling that Robben isn’t acknowledged amongst the greats in recent times. Perhaps his injury record casts doubt over his ability – the common perception is that he spends far too much time in the physio room. Only once in has he played over 30 league games in a season, and that was at the start of his career back in 2003. José Mourinho sold Robben a month before he left Chelsea first time round, citing his injury record as the main reason for letting him leave for what seemed like a snip at £24 million. Mourinho was unhappy with the Dutchman’s reluctance to play with any niggling injury. He thought that he wasn’t prepared to sacrifice himself for the side, or go through the pain barrier to play in the important games. In the modern era, players at the top level are expected to push themselves physically and be able to play 50 games a season. They’re expected to be prime athletes, extending the boundaries of fitness, adept at returning quickly from injury. It’s a strange viewpoint from fans and pundits alike that any player not prepared to play through the injury barrier is automatically not up for it. Should we instead be applauding these professionals for taking care of their bodies and subsequently extending their careers? With 570 club appearances, Robben is hardly slacking. It’s no coincidence that he is still playing at the highest level as he approaches his 34th birthday. An impressive feat for someone who depends so much on their pace. Robben’s career began at Groningen in the Eredivisie, graduating from their youth academy. He made his senior debut at just 16 in December 2000, but quickly managed to play his way into the team and went on to make 18 starts that season. The following campaign he improved further, scoring six goals and starting to garner the attention of clubs around Europe. His talent was obvious from an early age, his raw pace highlighting a potential that was there to be nurtured and moulded into a world-class talent. 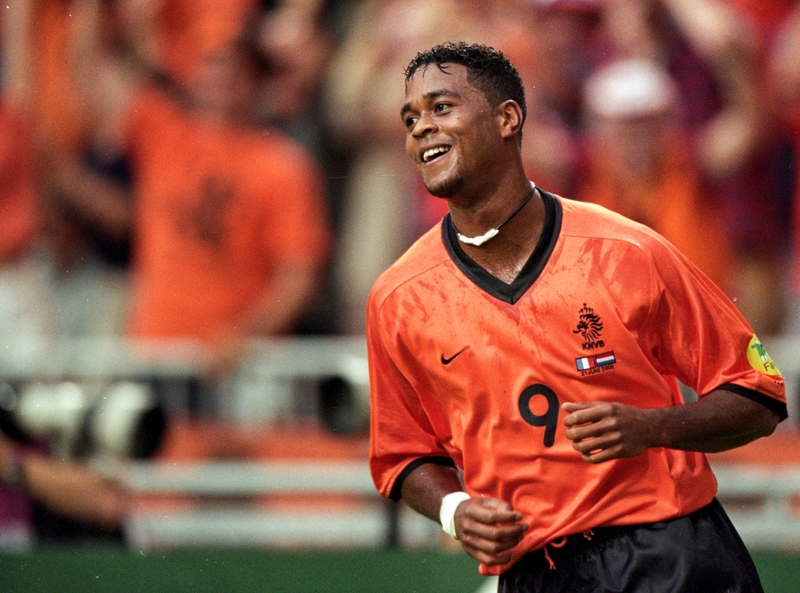 His performances earned himself a move to PSV, where he enjoyed immediate success. PSV won the title in Robben’s first season and he was named as Player of the Year. During this period, Robben struck a fierce partnership with Mateja Kežman, which fans referred to as ‘Batman and Robben’. Unlike in the comics, Robben was the main act here. Although his second campaign was plagued by injury and brought less success, his achievements had caught the attention of the big sides in England. Robben travelled to London to meet with Sir Alex Ferguson, who was keen on acquiring the winger’s services. The meeting did not go well, with the PSV chairman at the time, Harry van Raaij, telling Manchester United that the most their €7 million offer would buy them was a shirt with Robben’s autograph. It was at this point that Chelsea saw the opportunity to trump their league rivals and swiftly secured his signature. His time at Chelsea started poorly with a broken metatarsal bone suffered in pre-season delaying his debut at the start of the season. Following this he quickly found his stride, winning the Player of the Month in November. Under newly appointed manager Mourinho, Robben was part of a pacey front three, containing himself and Damien Duff either side of Didier Drogba. He was a crucial part of Chelsea winning their first league title for 50 years. The subsequent season delivered more of the same, with the Blues recording back-to-back titles for the first time in their history. The following season was disappointing for Robben and Chelsea. He suffered several niggling injuries, his stop-start campaign affecting Chelsea as they relinquished the title to Manchester United. That signalled the end of his time in West London, and he was sold to Real Madrid in August 2007. Although he was a somewhat frustrating player, largely due to his inability to stay completely fit for a long period of time, fans were upset with his departure. Robben was electric and on his day and could win a game single handily. Robben’s time in Spain started on a similar note, capturing a LaLiga triumph to go with his titles in England and Holland. He didn’t score his first goal until February, but more followed and he proved to be an integral part of the Real squad for the rest of the season. For one of the only times in his career, the Dutchman found himself on the left-hand side of midfield. He excelled, his direct running causing countless problem for Spanish defenders. He retained his place for the next season, continuing to be an important part of the team. However, the arrivals of Kaká and Cristiano Ronaldo in the summer of 2009 brought about extra competition for places. Robben was seen as expandable and was promptly sold to Bayern Munich. At the time, it was clear that he wasn’t overly keen on the move, saying that he “didn’t want to go, but the club wanted to sell him”. Since that move, Robben and Bayern Munich have, as expected, dominated on a domestic level, securing six Bundesliga titles in the last six seasons. In that time, Robben has flourished scoring 93 league goals for the German side at a rate of better than one in two. He’s scored 134 in all competitions and has reached double figures in all but one seasons. His contribution to the 2012/13 season in the Champions League was the pinnacle of Robben’s career and how he’ll most likely be remembered. Motivated by the memory of the previous season’s defeat on their home turf against Chelsea in the final, where Robben himself missed a penalty, the Dutchman was determined to deliver. He scored in both semi-final legs against Barcelona to help setup an all-German final against fierce rivals Borussia Dortmund. Then in the final, as the clocked edged towards 90 and extra-time beckoning, Robben produced on the grandest stage of them all. It was hard not to feel happy for him as he wheeled away in delight, atoning for his shortcomings 12 months earlier. Fast-forward to the present day and Robben is still a vital cog in the Bayern machine. His contract is due to expire next summer, with Bayern rumoured to be keen on having serious talks to extend his stay. He’s sure to have a long list of admirers, should he want to move on. Without international football and a well-managed career to date in terms of injuries, it’s not entirely realistic to expect Robben to carry on playing well into his 30s. 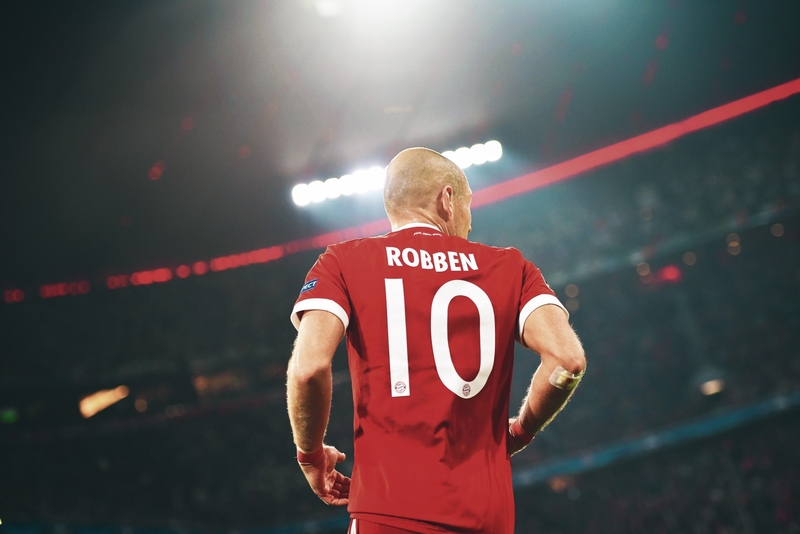 Along with the numerous team honours he’s won throughout his career, Robben has collected his fair share of individual, featuring in various continental and domestic teams of the year. He also claimed fourth place in the Ballon d’Or in 2014 after his strong World Cup showing. Just about any solo accolade you can win, Robben has done. He’s an attacking midfielder with over 500 domestic career appearances containing 200 goals and 23 trophies, in addition to 96 international caps with 37 goals. The achievements and statistics of Cristiano Ronaldo and Lionel Messi have muddied the water of what is expected from individuals at the highest level, but Robben surely deserves to be recognised as one of the greatest in the modern era.